Miguel (Anthony Gonzales) is a music fanatic who admires the great Ernesto De La Cruz (Benjamin Bratt) but he is forbidden to play due to his family’s ban on music. After running away to play music, Miguel steals a guitar and is sent to the Land of the Dead. Miguel meets his ancestors and new friends as he looks to escape before sunrise or he’ll be trapped there forever. Ever since Inside Out, Pixar seems to have gone through a mini-slump of movies that haven’t quite matched their usual standard. 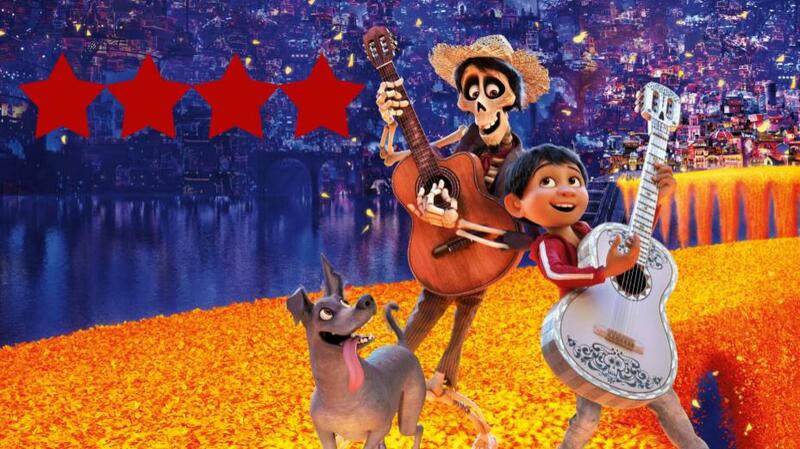 Coco, the latest addition to the Pixar filmography, sees a return to the quality we expect from the animation studio. Coco takes place during the Mexican holiday Dia de Muertos, also known as The Day of the Dead, and is a perfect set up for a Pixar film. It allows the film to entertain with bright colours, wonderful animation, and fun characters, as well as having an emotional message that will leave a deeper impact on audiences. The Mexican setting allows Pixar to explore a different culture that hasn’t had a great deal of focus on in recent times – The Book of Life being the main exception. This colourful festival fits perfect with Pixar’s animation as each frame is crafted full of detail, with fluorescent colours, unique characters and locations and the usual Pixar Easter Eggs. Not only is the film visually stunning, but it presents the opportunity to learn more about a celebration of life and family from another nation. Early on there are a few exposition-heavy scenes but it is necessary to make sure that everybody – especially the children – are fully aware regarding the meaning of this festival. Once the details have been straightened out, Coco’s true charm takes over as the adventure really begins. The best kind of Pixar films are those that are equally as entertaining for both kids and adults – see Toy Story series, Inside Out, WALL-E etc. 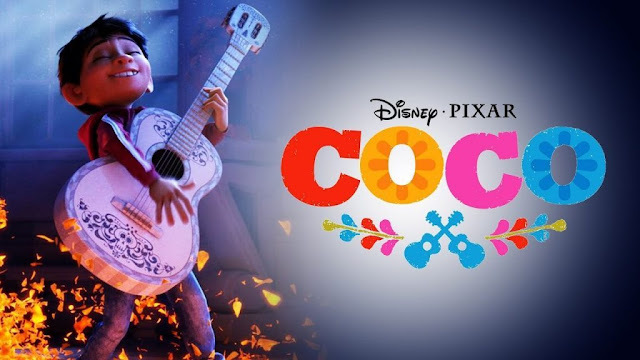 Coco joins this esteemed list as it is a fun adventure story packed with antics and great music to keep you thoroughly entertained. But most impressive is how the film manages to gain an incredible emotional response, especially in its final stages. The threats to the well-being of great characters may be enough to garner a response from you but the films respectful use of a sad disorder will have you fighting back the tears. It is a really beautiful moment and one of Pixar’s finest scenes that they have ever crafted – it’s up there with the first 10 minutes of Up and the incinerator scene from Toy Story 3. Themes of family and creativity and how to balance the two are ever apparent as the film’s message about the two is very clear. Again, this is both equally as valuable for both children and adults as it is a universal message that everybody can relate to in some way. Pixar never fails to amaze on how they can create a story that has such a range that it can touch even the sternest of viewers. Michael Giacchino’s score and the original songs from various artists contribute heavily enabling you to feel immersed in this world. The music is created through a combination of mariachi, salsa, and flamenco with the results being high energy, catchy tunes which will stick in your head for days. The work from the cast members – particularly from Gonzales, Bratt and Gael Garcia Bernal – is to be praised in making the musical numbers of the film seem as authentic from the characters as possible. To continue talking about the cast, its great to see that in a film like this that the majority of the cast were all of Latino descent, bar Pixar regular John Ratzenberger. Despite being an animated film, its great to see that this cast was made up in the correct way and it really helps add to creating this authentic imagined world. Coco provides everything you could possibly want from a Pixar film. Fun, enjoyable characters within a world that is a joy to explore, as the film also looks to tug at your heartstrings. Add in the originality of the story which provides fantastic representation for those who celebrate this event and you find very little to not enjoy. Despite a slowish start, the film has plenty of conflict, twists, and entertainment to keep you engaged throughout its entire runtime.